MountainSki.eu concerns on different activites connected with snow or ice in mountains. 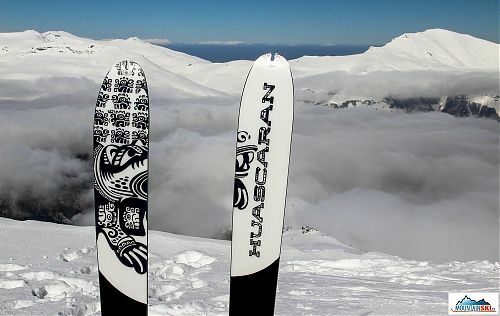 Main activities are skialpinism and splitboard. We left Brno in the direction to Republic of Macedonia in the evening of March 1, 2013 – Makedonie – lyže, board, sněžnice, skialp, 1. až 10. března 2013. We have reached Popova Šapka in the late afternoon of Saturday. 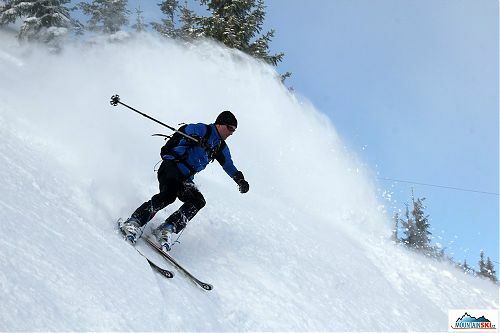 We have spent excellent time skiing and freeriding during the trip Bosna a Hercegovina v zimě s CK Alpina in February 2013. The second part of the ski trip took part in the ski-resort Jahorina. There were a lot of fresh powder snow and we also spent some time with the basic avalanche training. There was a short time available on the first Saturday in December, thus my Canadian colleague and I could visit Ötztal Alps for short skiing in Obergurgl or Sölden. Weather was excellent and snow conditions perfect. Between March 5 and 8, 2010, I went with bunch of people around Přerov to Austria. The beginning of the trip was funny for me, because I know them only through car-share offer on friendly web powderline.cz and few e-mails. Finally, everything came out great, people, snow and even the weather. Company Freeride Map© has been publishing special maps for freeride skiing and snowboarding. The newest map extends number of maps to 15 and it covers Lötschental around summit of Hockenhorn (3293 m). I have possibility to look and check maps during sport trade show ISPO 2010 in München. We waited a long time, but it happened to. At Prague was snowing long time ago, but we in the Beskydy mountain haven’t this lucky this year utill now. The last weekend I and Tom (čertík bertík) made some alpine touring, it was quite good except for the fact that it wasn’t much snow, and sticks was everywhere. Tomas skis know‘s aboute that… We are thinking aboute next time, because if this type of winters will continue we will must take to trip a saw and ax. Since the depth of snow in the Beskydy Mountains is critical for alpine touring / freeride, we decided to go to Slovakia on Saturday January 23. The server laviny.sk shows Chopok (Nizke Tatry) 90cm, so there is no problem. That’s plan but we hope that the site is right, otherwise our skis the will be cut like chips. In the end everything turned out well. All activities in mountain terrain covered with snow or glacier can be dangerous with possible serious injuries or deaths. Everybody is moving in mountains according to its experience and its own responsibility, if he is not asking certified mountain guide for guiding. Authors of this web have no responsibility for eventual damages and injuries, which readers can get with inproper usage of information presented here. Content of this web in text, graphics and photos is forbidden to copy and use for commercial purposes. Noncommercial usage for education and study is possible, if source MountainSki.eu or MountainSki.cz is consequentially assigned. All described activities, presentations, guides and articles originated with support of Company MEDICI, 155. mountaineering club Vsetín, Slovak skialpinism association, and others.